Pura was initially named iCash, and stems from a bitcointalk.org thread posted by user cryptodev35 on the 19th of March 2015. iCash itself was a fork of Dash (by this time named Darkcoin) which is a fork of Bitcoin. Like Dash, iCash utilized the X11 hashing algorithm that consists of 11 different hash functions in order to make ASIC hardware harder to produce. There was nothing special with he fork to BD Rating's knowledge, other than some fine tuning of chain parameters. Prior to the initial iCash BCT ANN-thread, a very similar thread about the new altcoin Ecash was posted by user adabau. Another extremely similar thread was later posted by adabau for the new altcoin Epay. This strongly indicates that iCash was just a copy scam where the developer could mine or buy coins when cheap, and sell later after tricking people to invest. You can see BCT users reacting to the fact that iCash is just copying earlier projects. Either all three threads are posted by the same person, or cryptodev35 just saw an opportunity to scam people and picked up the method. It also seems likely that cryptodev35 uses sockpuppets like cryptonoob312 as their accounts are created on the same day. It is funny that he didn't even bother to change the sockpuppet name that much, and as for the name of iCash, he just changed one letter. After some initial activity, the iCash price dropped and the only developer became more and more quiet while masternodes sporadically went offline. cryptodev35 disappeared from the project for many months before returning to explain that he quit. A new BCT ANN-thread was posted by user jcksteve. After a period of inactivity, it was decided to do a coin swap and rename the project to Pura. The only way for iCash holders to participate in the swap was to send their coins to a centralized exchange. Many people missed the swap and was not compensated. This is verified by the official Pura BCT account as well. A second swap-like event occurred on in September 2017, when users were asked to send their PURA coins to coinexchange.io. This to accommodate the 'Pura Dawn' update. Again, only a few days notice was given to the community. Some wealth was confiscated by the Pura team in the subsequent genesis block. And now to the point that absolutely confirms the scaminess of the whole Pura pivot. BCT user dadingsda quickly connected the Pura team to an older project called Avalon Life. This connection is verified on Facebook as well, and on the Pura official blog. Avalon Life is a Onecoin-like MLM venture where new users pay huge fees to join up. These fees are shared by the recruiters in a pyramid-like fashion. Here is more evidence of the Pura - Avalon Life connection, and also evidence of Pura sock-puppetry. 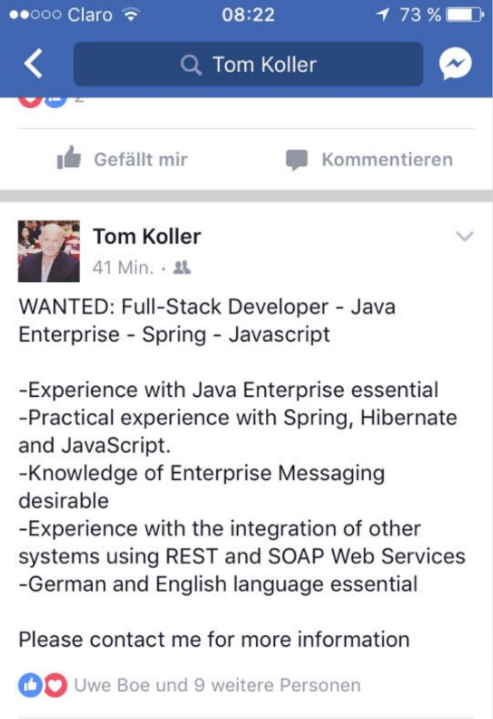 Tom Koller runs Avalon Life, and is evidently recruiting developers for Pura. The Pura Vida coin that is strongly connected to the Avalon Life company, seems to have been merged with Pura. It is great that they consolidate the scam to just the Pura coin - it makes it easier to research. As the Pura team consolidated their power over the project, they installed a block reward setup that sent PURA to themselves. Let's blow this pyramid scheme to pieces.